As he climbs mountain crests patterned with frost and swims to the bottom of inky blue oceans, Augustus soon realises that his smile would be there whenever he is happy. He just needs to open his eyes to the beauty of the natural world around him. 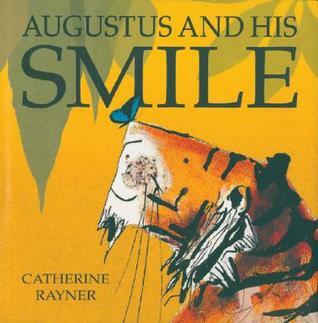 Rediscover the magic of Catherine Rayner's illustrations with this stunning 10th anniversary edition of Augustus and His Smile. Now in a gift edition with a gold foil jacket, this remarkable book approaches sadness with a lightness of touch, celebrating the beauty of the world and the simple happiness it brings us when we open our eyes to it. Augustus and His Smile is a stunning example of how art can be used to start conversations about coping with our emotions from a young age. Catherine's debut picture book was nominated for the CILIP Kate Greenaway Award and won the 2006 Booktrust Early Years Award. This picture book tells a simple story about a tiger searching for his lost smile. It uses poetic language and almost abstract illustrations that work together beautifully to make a memorable, prize-winning book for young children on the theme of finding happiness in the natural world. The book was originally published in 2006 and this special anniversary edition is a hardback with a lovely gold jacket. For every copy sold, a donation will be made to the David Shepherd Wildlife Foundation's Tiger Time campaign, which aims to protect wild tigers. The book would be a good starting point for discussing emotions, particularly sadness, with young children. If you look carefully, you'll see Augustus's mouth beginning to curl up at the corners as he swims under the sea, prances through a desert and by the time it starts to rain… Well, read it yourself and find out what happens. I'm sure you'll find yourself smiling, too.